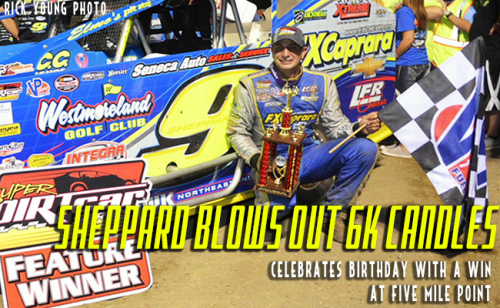 KIRKWOOD, N.Y. – July 12, 2016 – Five different drivers captured the lead in the hard fought 66-lap main event at Five Mile Point Speedway, but it was the birthday boy Matt Sheppard who made a late race charge from his eighth starting position to secure his third Super DIRTcar Series victory of the season. “I think we had a better car tonight than last week. This thing was just rolling tonight,” said Sheppard, the current points leader and defending champion. Billy Decker and Larry Wight helped kick off the feature as they jumped ahead of the field and battled for an early lead. Wight caught lapped traffic on lap 25 as Decker and Frank Cozze closed in. It wasn’t just Decker and Cozze who were knocking on Wight’s doors as they caught lapped traffic. There were five drivers: Wight, Decker, Cozze, Friesen, and Sheppard who were all battling for the top spot on lap 32. At halfway, the scoreboard saw Wight, Decker, Friesen, Cozze, and Sheppard as the top five. Decker rolled the outside on the restart and took the lead back from Wight on lap 35 but was soon to be taken away by Frank Cozze who squeezed in below Decker coming out of turn two on lap 47. Eighth-starter Sheppard took a chance and battled forward as he took the high side and chased down Cozze for the lead. The final caution flag of the night fell with six laps remaining. On the restart, Sheppard powered forward and with a clear track ahead, pulled away from Cozze. Sheppard drove the No. 9s FX Caprara to victory lane. “We didn’t like seeing those cautions. I felt we were better on longer runs. I just can’t say enough about this thing it was a lot of fun to drive tonight,” said Sheppard. As the race went on, tires started to become a concern during the feature as several cars pitted due to flat tires. “Anytime you see drivers going in with flat tires you get pretty concerned. I felt like I was rolling around pretty stick straight. I was just hoping we had enough and thankfully we did,” said Sheppard. Cozze battled hard for his first podium finish of the season with the series. “The car was good everywhere. It could move all over the track. I knew the right rear tire was going to be an issue so once I got out front I started to cruise to save the tire. Sheppard kind of took me by surprise,” Cozze said. Sheppard scored his third Super DIRTcar Series victory of the season and his sixth podium finish out of just eight series races. 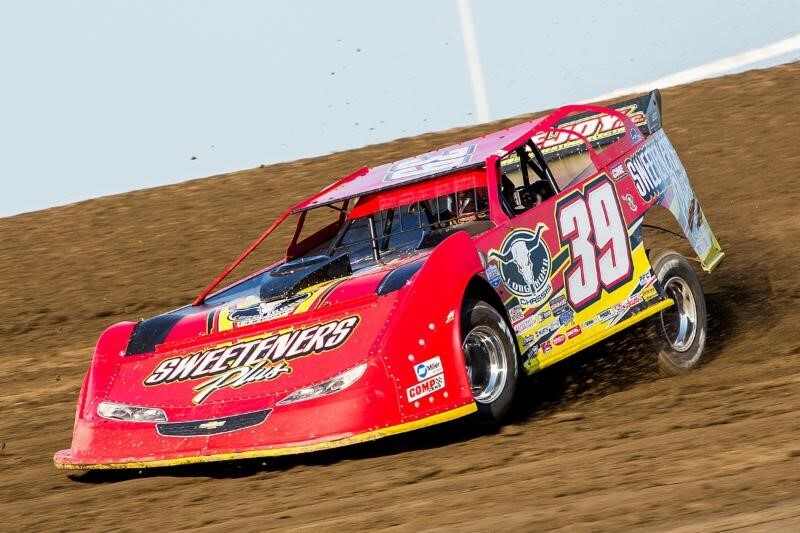 The Super DIRTcar Series takes on Grandview Speedway on July 14. For more information, visit www.tothracing.com. 31 modifieds attempted to qualify at Five Mile Point Speedway. The a-main was 66 laps, paying $6,000 to the winner. Mike Mahaney set fastest time in time trials with a 15.320. Eight cautions were brought out during the feature. Matt Sheppard celebrated his 34th birthday in style in victory lane, collecting the $6,000. 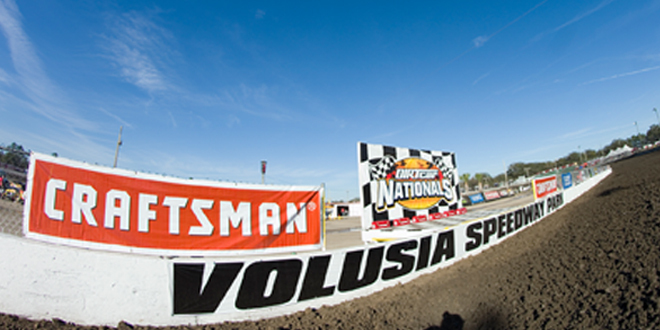 For more information on the Super DIRTcar Series, visit SuperDIRTcarSeries.com. Follow the Super DIRTcar Series on Twitter at Twitter.com/SuperDIRTcar. 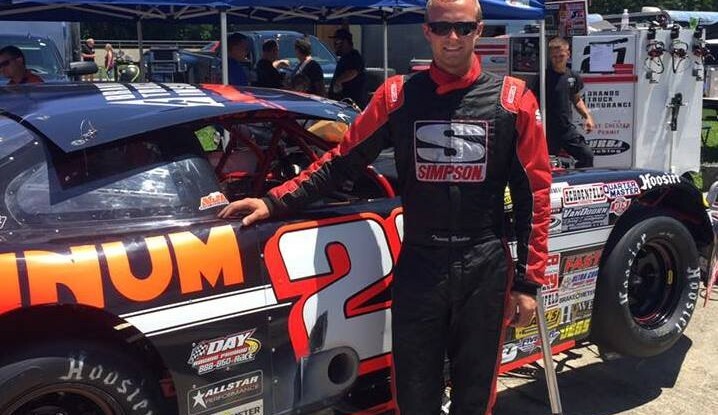 Super DIRTcar Series Statistical Report; July 12, 2016; Five Mile Point Speedway, Kirkwood, N.Y.